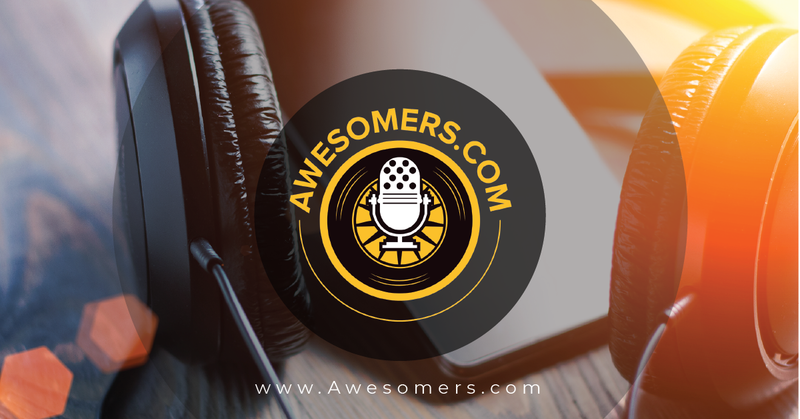 EPISODE 136 AWESOMERS.com Podcast for Entrepreneurs, Creators, Thinkers, Geeks and those who aspire to become just like them. Chatbots are pieces of technology that help respond LIVE to customer interactions. The engagement between a chatbot and a user is very high and the opportunity to create unique and wonderful experiences exist right now. 2) How can chatbots improve customer service? Chatbots will be able to answer basic customer inquiries and even supply transaction related data on a LIVE and INTERACTIVE basis. Additionally chatbots can be triggered using marketing flows to help qualify and segment customers which brings higher custom experiences to each user which can then lead to more sales and happy customers. 3) What are the best chatbot tools? For Amazon FBA Sellers the clear advantage goes to SellerChatBot with ManyChat also offering some high functionality. A specialized, yet unlimited solution can be had for less than 70USD per month.There are other platforms including chatfuel, Aivo, Botsify, ChattPeople, Flow XO, Imperson, and more.. Before you know what the best solution is you must first ask yourself what is the purpose of your chatbot. If you need AI features or NLP (Natural Language Processing) to help manage large volume on your own website you should look for more specialty types of solutions. Enterprise level chatbots can cost 2,000 - 20,000+ per month for the highest levels of volume and technology. 4) Do Chatbots work with Zapier? Manychat is one example of using the zapier integration to help it bridge data gaps that may exist. For example if you are an Amazon seller and you want to launch a new product using chatbots you may choose to distribute one time use coupons so that customers can get a special offer. Manychat does not have this function built in so you must use zapier to connect to a google spreadsheet and then past the codes into the spreadsheet and let zapier distribute those back to manychat. SellerChatBot which offers Amazon FBA Seller features has coupon code distribution and keyword distrbution built in. 5) Do Chatbots work for eCommerce? Some livechat driven software that allow customer service agents to chat with customers also have a programmable chatbot mode to allow some questions to be answered automatically. The best systems integrate with the CRM to track all customer correspondence with the chatbot so that your marketing and sales teams can see the interactions between customers and humans or artificial intelligence. 6) What are some chatbot examples? For the super secret KevinandSteve.com project we created a bot flow that allows customers to get into the bot list so they can stay informed as we start to share the details about this important project. 7) What can ChatBots do? Bots can help with marketing, sales, customer service, and more. Overall bots can provide lines of communication that originate from pre-programmed flows or AI and NLP processing when they are connected to an ERP system. Chatbots can create a series of messages that can lead to customer interactions that can help your sales, ranking, and reviews if you treat customers really well, you have great products, and you set up the right engagements. 8) What is the best chatbot for an Amazon Seller (or FBA marketplace seller)? Although we admit some bias, the simplicity of sellerchatbot makes this solution the clear winner for any Amazon FBA seller. The fact that sellerchatbot can integrate with manychat as well for the really cool viral features like wheel of fortune, magic 8 ball, and other innovative solutions makes it a clear winner for FBA sellers around the world. The fact that basic bots are built in for amazing functions like: product pre-launch; search, find, buy; review requests, velocity sales, and a VIP/Deals Club with only tiny modifications you can have a bot live in 5 minutes! Join Steve as well as a group of brilliant e-commerce entrepreneurs including Kevin King, Steve Simonson, and many more at the Empowery Seattle Summit. As a bonus, if you use this link -->> SELLERCON <<-- a little scooby snack will be paid to the non-profit member owned Empowery Co-op. Steve Simonson has no personal affiliate deals with any of the named resources and his time is volunteered for the benefit of the Empowery eCommerce Coop. Do you agree with Steve's comments on today's show? Connect with us using the below or find Steve on twitter or Instagram @stevesimonson and let him know just how wrong he is. ;) The audience will still be able to keep in touch with the team online through the website and the Facebook page. Please take a minute about engaging with the show’s sponsors if you find what they’re doing as valuable to you. For the avid listeners, Steve wants to thank you personally for listening and if you haven't already would you please subscribe and leave a review? Check out the Empowery.org site to learn more about the Empowery membership, vendorship, or affiliate partnership as well as the upcoming conference in Seattle. Neither Awesomers.com nor Steve Simonson has any affiliate deals. Any promotion or financial links are Empowery links for the benefit of that vital non-profit member owned cooperative. ** Disclosure: Steve is an investor in the www.sellerchatbot.com company.